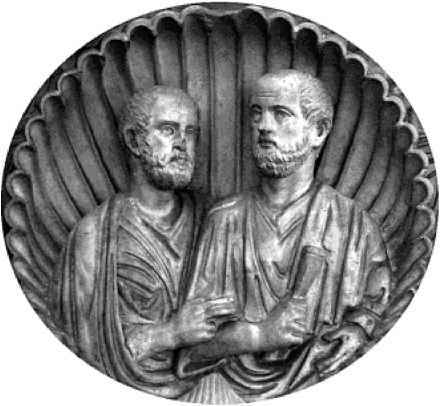 h,in he asks, when his disciples all had short* cropped hair? I The were that different Looking From his apostles, there would have heen ino need for Judas lu idertlijy him 1 wilt] a ki-,- tu iht Ronlan authorities, and llie Pharisees could have saved ili^ir m-.rn v" Interestingly, Epiphaniuss objections are contradicted on many early ( hristian works of art, where a juxtaposition of long-haired Jesus and short haired apostles is fairly i see figi. L 3, 20, and 32, for ex .lim pJej. Jesus' fealurvH in .i famous ac<ount oi .1 ''from life" portrait oí lesits: the miraculous image acquired by King Abgar of Edessa, who, suffering from a dread illness, &might a miraculous cure from Jesus the healer, Several different versiunsof the legend ejiist, but according loa genera outline, Abgar sent his personal scribe to Jesus with a letter imploring him U < t orne I« I dessa tti aid the ailing king. Jesus . on Id not ï ome himself, but he wrote a reply promising that one of his apostles would arrive in his stead. Sometime a fte i Jesus' aseen sioiuThaddeu s arrived in Edessi and performed the i;are as well as evangelizing illc court. In later ver s s of the Abgar stör however, that cure ïvj-, effected by contact with a portrait of Christ rh.-.L returned to t:dess,i -.villi Ahgar's messenger scribe, who either painled ii himself or .h-. :>tven .i miraculous image (made ^ithout hands), when lesus wiped his fací upon a towel. " However the story was told, the image that Abgar's servant brought hack to Hdessa was revered as an authentic and miraculous ima^e of Christ, It became one of the holiest images ir. the Hast, known -v> the AL/JiMm/t. 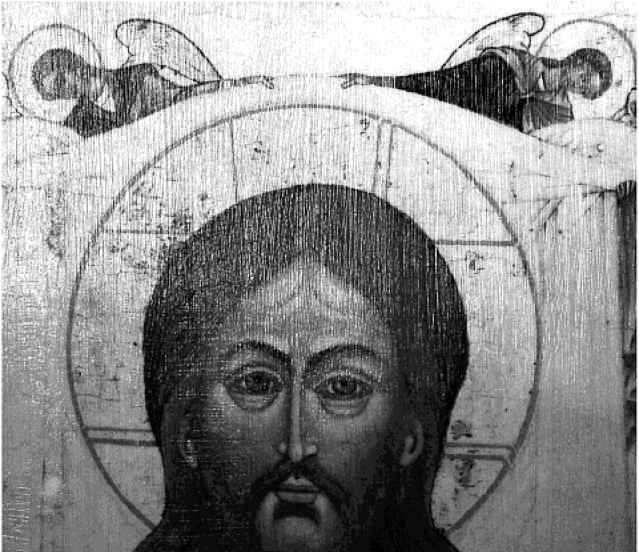 ï'bt sanctity and |>ower of the portrait was demons1 rated by its ability to destroy competing religious idols and to save thí kingdom of Edessa from enemy invasions. In ihe sixth century, Evagrius recounted hnw the cloth had been used to repel Persian .mi.il Hidden m the city walls and then rediscovered in :\vj tenth ten tut y, Mil' relic was removed to ( onstantinople, where Emperor ( lonstantine Pùrphyrogen itos c( mm issi< med an i >fñcial history of the Mandylion.' Alth< >ugh multitudes o' . 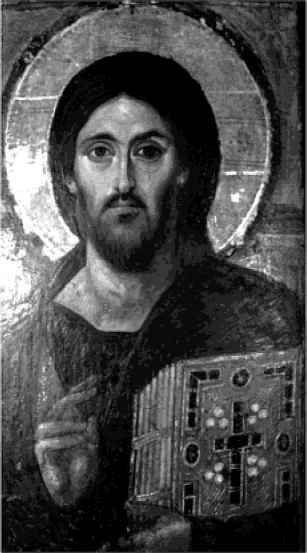 opiesof the original portrait were made possibly one found its way to Egypt where il was Seen by the Piacenza pilgrim), the actual MarfityHort itself was lost, finally disappearing from Constantinople when Christian crusaders sacked lhal city .ii the beginning of lhe thirteenth century. beneath a rather drooping mustache and above a beard that comes to two points (fig, 57). The hair of his head is parted at the center and hangs to his shoulders. Fig, S7. Mandylion. 20th can. icon in the Hoi/'Trinity Greek OrthodoK Church, Nashvi le. Tenrv (Photo Author). in Catholic piety when it became the sixth station of Lhe cross. Like the Mandylion, however, this actual Sudarium disappeared 111 the sack of Rome by German troops in 1527 and was reportedly sold in a tavern by Lutheran soldiers, ■ Rediscovered in the seventeenth century, it generated a vast number of copies that were distributed all over Europe (fig. 58). 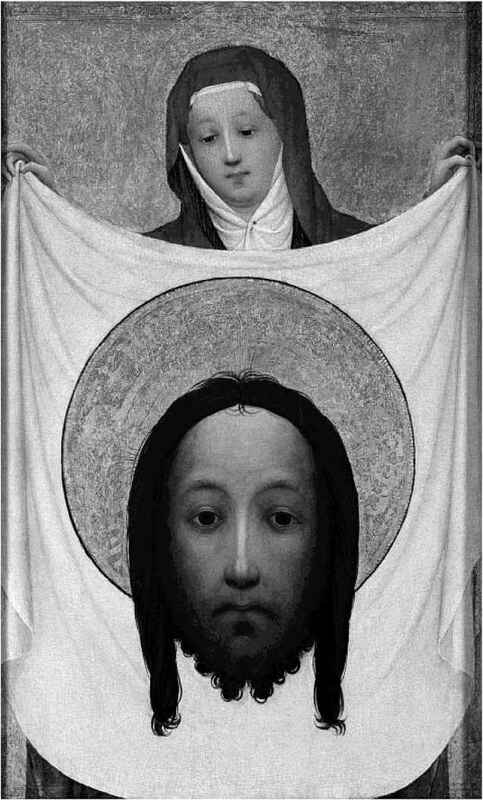 Fig 58.Saint Veronica, Master of Saint Veronica, 1100. oil on wood, Nat onaJ Gallery jondon (Photo: Erich Les&ing/ Art Resource, N,Y). Fg. i>9. Christ Pantocratcn; 6ti cen. C.E encaustic on p^nel, Monaster/ of St, Gather r*e, Mt Sinai (Photo: |=gypt Ancient An Collection, BHdgeman Art Library).